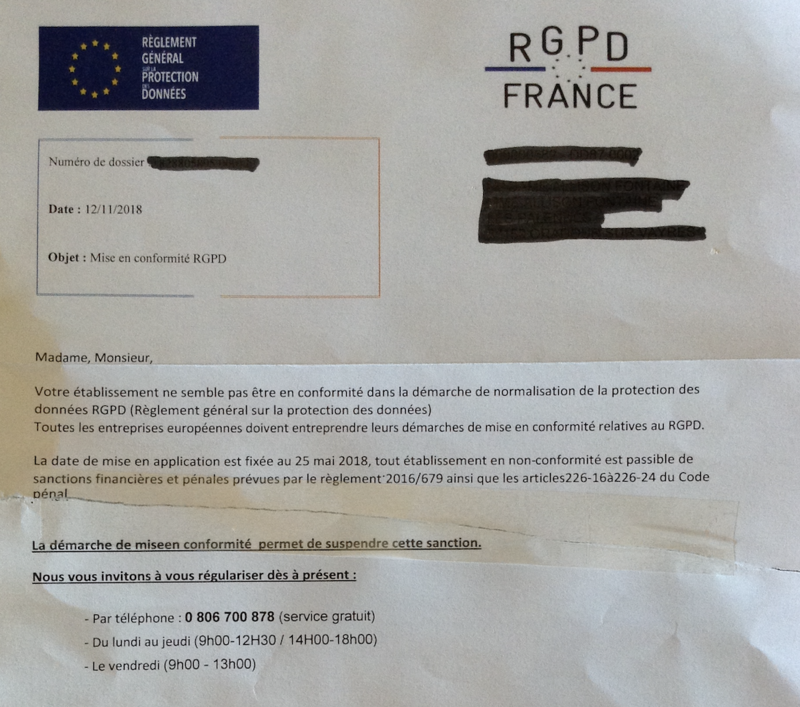 Watch out for RGPD scam letters sent to entrepreneurs! Several customers have received this letter asking them to call this company, obviously trying to sell them a file to deal with RGDP. Since May 2018, you do have to protect your customer's data, inform them of what you will do with their data (including on your website) and be able to give them a copy of their information if requested. However, you can prepare for RGPD on your own. You can follow the RGPD steps issued by the national institute of property INPI.